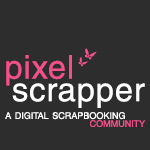 | Crafter, Teacher, Musician, Rambler, Miscellaneous……..Me! This is another poster that has gotten a facelift. The original was part of the great data loss of 2015. I lost an entire hard drive’s worth of designs, graphics, music, and more. It was awful. Luckily, I did have a lot backed up but not near what I lost. Anyway, focus on happier times. Since this poster was lost and was never posted in my store, it had to be remade from completed from scratch. Now, it’s available for you in two handy sizes: 11 x 14 and 49 x 72 (yeah, that’s enormous). I’ve done rules several different ways. I’ve sung the rules. I’ve done rules using memes. I’ve even done a Jeopardy style version of the rules. I use Mr. Potato Head with the Pre-K babies. I understand the importance of rules, however, the majority of my students (even being on a military base) come back the next year. I don’t have the same students for several years in a row but, on average, students stay for about three years or so. Of course, there are exceptions to that but the majority of the students I had in May will still be here in August so most of my students already know me and my expectations. Plus, because I see my students only once a week and students are constantly coming and going, we go over expectations having to do with different aspects of the class on a regular basis. 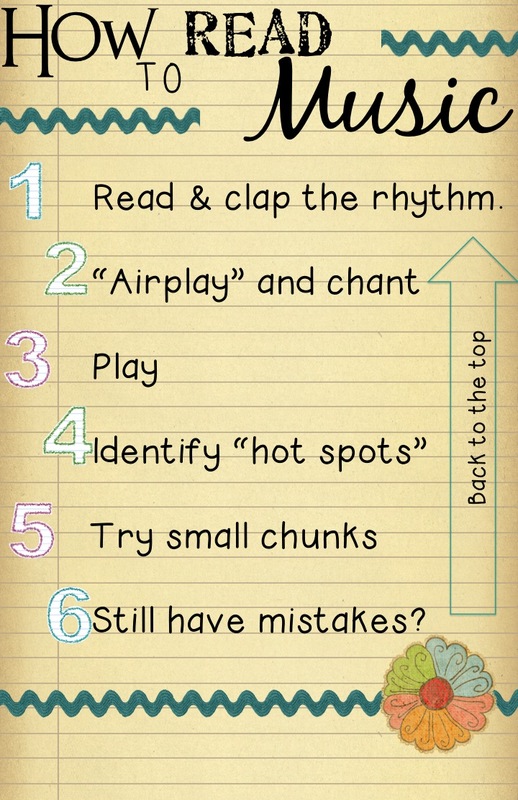 My little ones will still do their eyes and ears active listening rules and my 1st, 2nd, and 3rd graders will still sing the Rules of Music as before but my 4th and 5th graders get a new Rules lesson this year (insert sly smile). If you don’t know how to use Kahoot, I have a post about it HERE. The kids absolutely love it. By the way, we’re totally going to go over these questions and the correct answers as a class so no one will actually think the right answer is to interrupt class to yell and scream about it. Remember, this is only for my upper elem grades. I’d never do this with 1st graders. This is a biggie for me across all the grade levels. I won’t deny a student access to the restroom but I will ask if they can wait. Usually, I’ll say something to the effect of “Can you wait four minutes?” just so they won’t miss the direct instruction and go during a transition. More often than not, the student can wait. This is not so much an issue with the older grades as it is with the younger ones who hear the word “restroom” and suddenly have a domino effect emergency. Luckily, the classroom teachers are really good about giving students opportunities to use the restroom BEFORE specials and they let me know in front of their students that everyone had an opportunity. That usually quells the urge. They are probably going to think “Have fun” is the answer. It’s not. We review this statement EVERY TIME we use instruments of any kind in my classroom. “If you play before I say, it’s going to be taken away.” Even the Pre-K babies know this statement. The urge is there and, sometimes, it’s too much. Students who lose their instruments have to air-play to earn it back. It’s never very long because the goal is for students to participate but it works. I think I explained this above. I’m hoping this one is obvious. Same meme; different question. This kind of goes with the “Ask three before me.” I frequently write the directions down as well especially if they are multi-step. I am the mean teacher who does not give every student an E for Excellent in music. E for Excellent is the highest score on a E, S, N, U scale. If students refuse to participate for whatever reason, they do earn an E for Excellent. I know, Mean Miss Coffey…giving each student the grade they earn rather than using the auto-grade feature. Confession: sometimes I make life harder on myself. Again, I hope this is obvious. I don’t think students are legit thinking “He, he, he…I’m being disrespectful to school property…he, he, he. I don’t think they think about the consequences and implications of their graffiti doodles. Some even say, “I love music.” Still not okay, friends. I only have 40 minutes once a week. I’m going to use all 40 minutes. The answer is “by climbing them like stairs” in case it isn’t obvious. I mentioned this above. I hope the get the obviousness of this one with the meme. #SorryNotSorry again for caring that students are in music when they are supposed to be in music. I hope you enjoyed my meme Kahoot rules and I hope my students like them as well. Like I said above, we’re totes going to go over these and the serious meaning of each. I just want to start the year like we ended it in May: musical and fun. I decided they need a facelift and also could match each other better. Posters are priced at $2 each OR $12.95 for all ten (saving you 35%). The posters in this facelift also come in two different sizes for your convenience and, guess what? If you already bought the original set, you get this set absolutely free. In the sort option box, select “Recently Updated” and the files will appear. Remember, this is only if you purchase them already and are just getting the update. I hope everyone is ready for back to school! Welcome back for My Favorite Resources #3! This series includes my personal favorite activities, songs, and videos that I use in my music classroom with my students. These activities can be adapted to your school’s level of technology available. I hope everyone looking for ideas will be able to take away at least one idea from each of these posts. I love teaching about found and environmental sounds but that wasn’t always the case. My first year, I remember thinking, “How am I even going to teach this?” I started with having the students listen to the sounds in the classroom (air conditioner, fan, people walking by) and went into a while spiel on how music is always around us and blah, blah, blah. To say it wasn’t a hit is an understatement. Now, this is one of my favorite lessons for the beginning of the year in Kindergarten. Yes, all of these resources are from one lesson but, don’t worry, I don’t get to all of them with every class each year. I definitely overplan because there’s nothing worse than having more time than lesson. If not, go to Amazon right now (or after reading this post) and put it in your cart. You will not regret it. It is a charming book that really sets the scene for listening for environmental sounds. There are videos for it but I like reading it out old school and doing the sound effects old school. Plus, I like to have the children mimic the sounds as well. After reading this book, we go for our own listening walk. My district is very open and the elementary school abuts the Jr./Sr. High. There are separate buildings for different grade levels and subjects. My building is between the elementary gym building and the high school gym building. Anyway, because we are on such an open air campus, our listening walk includes going into areas such as the band hall, theatre classroom, administration offices, the auditorium, open air hallways and more. We walk a little bit in silence and then I turn around and we discuss the sounds we heard while we were walking. Sometimes we stand in one area in silence so we can listen and discuss. The kids absolutely love it. Anyone who sees us walking is completely charmed by the line of children quietly following me like a silent pied piper and then discussing sounds in our environment. This past Fall, we ended up running into the superintendent during our listening walk and he asked the children to describe the sounds they heard. This little gem from Ann McGovern is also a little of fun. Not only do the children get to practice their animal sounds, they also get a fable in the mix. This one is pretty self explanatory but is another one I’ve had success with. Both of these two resources can be found on PBS kids and are completely free. I am so lucky to technologically blessed at my campus but I realize that is not the case for everyone. In my classroom, I can use my ActivPanel which works like a giant iPad with multitouch capabilities and have multiple children at the board creating music with the different found objects. That would never have worked in my other teaching situations. If you have a projector, you can have the students choose from their seats what they want to add to the music mix and have them listen that way. They won’t get the interactive function but they still get the concept. Another idea on incorporating these activities without having the technology in your classroom to do so is to demonstrate in the class and then send home a piece of paper with the information and links for the children to play at home. The parents get a glimpse of what their child is learning in music and the child gets to practice the concepts and creating music at home. If you can’t send notes home, ask the homeroom teachers to include a blurb about Music Connections in their newsletters and parent communication. This first one is called Crank it Up – Found Sounds and DW making music with four objects from the pile on the left side. Students put one object in each tin plate and then press play to get DW to bike. The objects create sound in the order they are in the tins. By pressing the keyboard buttons, students can add additional sounds such as a cow mooing and a horn honking. They really like to listen to all the different configurations. In this next activity, Sid the Science Kid has a Sandbox Symphony of sounds to choose from. Pressing the boxes makes the sound begin in slow intervals. Pressing them again, speeds up the intervals of sound and then turns them off. I just the let the children go with this one. Be free, children, be free! You can probably find some great videos on your own but here are two of my fav that I use each year. Side Note: both videos are filtered through either safeshare.tv or viewpure so eliminate advertisements and distractions on the side of the window. The original youtube links are available by click the bottom right on each video’s window. In case you do know, this first one is from Tarzan. The apes and elephant friends of Tarzan have found the Jane and Co.’s camp and are very interested in all they find. So interested that they make music. I usually have this video as my intro activity on found sounds and tell the children that music doesn’t have to made with specific instruments. I tell them to look for items being used to make music that aren’t musical instruments. After watching the clip, we discuss the different items being used and the characters were making music with it. Example, banging on the typewriter or blowing into the gramophone (which they totally will call a trumpet). This one is the Kitchen scene from Stomp. Since I use this with the kinder babies, they are familiar with it like the older ones usually are. Again, we discuss making music with items other than traditional musical instruments. It’s a great life action counterpart to the animated video above. Due to the nature of the beast of teaching music, I do not do as many paper assessments that I probably “should.” In fact, I made assessing my students more frequently my goal for my T-TESS (Texas new appraisal system). It’s not going that great but I am trying. Now, that being said. Of course, I assess my students’ learning but I do by watching them, listening to them, and discussing with them. My time with my students is so precious that I’m doing everything I can just to get them exposed to all of the music TEKS let alone assess them on all of them. Okay, I’ll get off my little rant. All that to say, I’m glad that other music teachers have taken some of the burden off my hands. This packet of assessments for timbre from The Yellow Brick Road includes more than just the one shown for environmental sounds. I like it because I can have play music from my computer and they can show either via drawing a circle or using a counter chip to place over the image. The latter allows for more examples and less copies being made. I have a flipchart (that I can’t share due to copyright reasons) that has musical examples for all three categories shown on the assessment. The children decide on their paper while the sound plays and then, as a class, we discuss and put the sound in the correct category. It allows for reinforcement while assessing. Yes, this is still technically a watching assessment but I can do a quick scan of the room during each listening example and score accordingly using iDoceo on my iPad. I hope you have some new ideas in your arsenal for teaching found and environmental sounds. I don’t know about you but my first few years of teaching were about surviving. There was no Pinterest or Teachers Pay Teachers. There were not these online communities of music educators on social networking. I was lucky to have a music teacher mentor in my district but, at my campus, I was completely alone. We’ve come so far with the amount of both free and paid resources at our disposal as well access to the expertise of fellow teachers of all subject areas and grade levels. Now, it seems, we’ve gone the other way regarding the access to resources we have. Because there is so much, it can be hard to really dig deep to get to the best activities to teach various concepts. I hope to cut through some of that for my overwhelmed music teacher friends with my new blog series: My Favorite Resources for Teaching (Fill in the Blank). This series will include my personal favorite activities, songs, and videos that I use in my music classroom with my students. These activities can be adapted to your school’s level of technology available. I hope everyone looking for ideas will be able to take away at least one idea from each of these posts. For my first venture in this series, see My Favorite Resources for Teaching Fast and Slow. Here are the Texas state standards regarding loud and quiet in kindergarten. 1D: Identify same.different in louder/softer. 3E: Perform music using louder/softer. 6C: Compare same/different in louder/softer in musical performances. Here is my scope for teaching dynamics. It is included in “expression” but you can still see the progression. Grizzly Bear is my absolute favorite for teaching loud and quiet to kindergartners. This was actually a lesson I’ve used since my very first year teaching because it was in the first unit in the kindergarten Silver Burdett Making Music textbook. I really lucked out! This version is from bethsnotes.com so you can have access to the notation if you are not familiar with the song. Of course, there are several ways to teach it and act it out but my favorite remains having one student be the grizzly bear in the middle of the circle and have other students “go into the cave” and quietly walk or crawl around the sleeping grizzly bear. When the grizzly bear awakes, the students crawling around him make a run for it. Don’t worry, they only “run” back to their spots on the rug. Lindsay Jervis has a lesson on TeachersPayTeachers to teaching Grizzly Bear which includes an extension into teaching quarter rest. 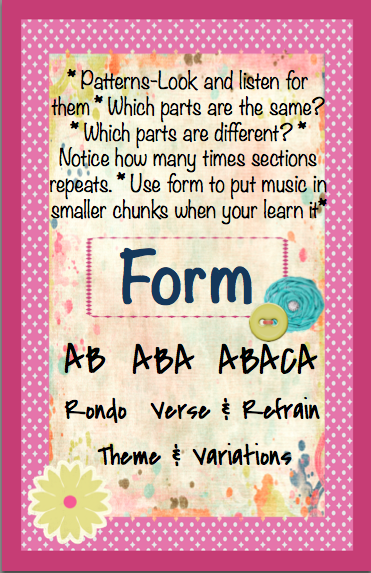 I use that lesson with my first graders to teach quarter rest with a song they are already familiar with. Her lesson includes worksheets and critical thinking questions to accompany the song and notation. This find from Creative Learning 4 Kidz has been a fun way to discuss sounds as well as vocabulary with pre-k and kinder students. I project it using the document camera so we can organize together and everyone can see. A new addition to from Aileen Miracle using her Music of the Chippewa. Although any study on lullabies (and their purpose) will do, the Chippewa Lullaby in this collection is especially soothing and allows for inclusion of music from diverse cultures. “In the Hall of the Mountain King” is excellent for having students move to show changes in both dynamics and tempo. Here is a recording in case you’re unfamiliar. I pass out streamers for students to the music. My streamers are literally paint stirrers with dollar ribbon stapled to them. The kids don’t care that they aren’t fancy. They love them. Usually, the first time through the song, I’ll move with them and talk through the song encouraging them to respond to the music with their streamer. When we go through it again, I’ll watch and encourage as needed. All these videos are filtered through safeshare.tv or viewpure but you can easily get to the original youtube link by clicking on the youtube logo at the bottom of the video. This video cracks me up every time I use it. Specifically, I begin my loud/quiet lesson with pre-k with this video. After watching the video, we discuss lullabies and their purpose as well as why this lullaby doesn’t work. It is a hoot. This above video is also from Sesame Street and is great for a discussion on audience etiquette. One more video from Sesame Street. This duo sings about loud and quiet as well other comparatives for the little ones (fast/slow, high/low, etc). Last video but this one is from Mr. Greg. Finally, one more resource that can be used for simple reinforcement as well as assessing students’ listening of loud and quiet. 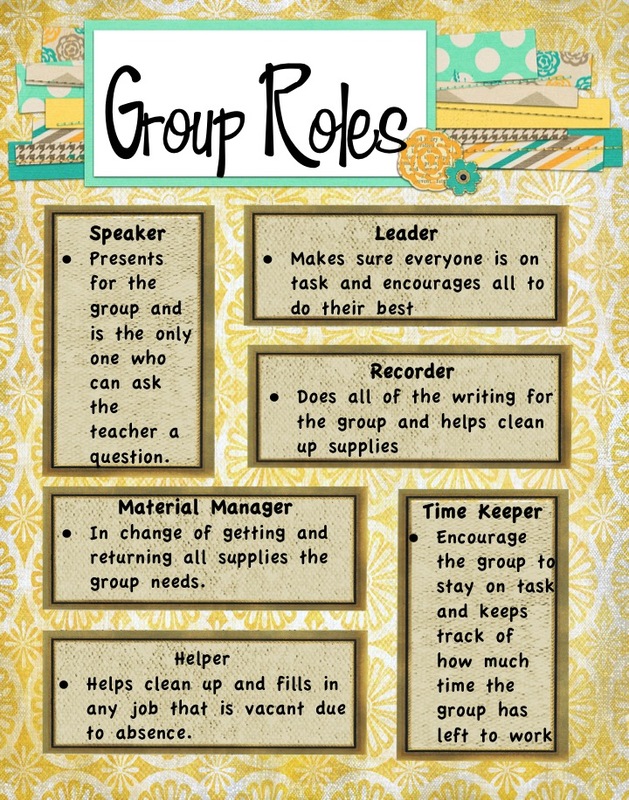 This resources is from FantasticFUNsheets. I hope you can find something in this collection that be can be used in your own classroom. Thanks for reading! That was only a decade ago. I hope to cut through some of that for my overwhelmed music teacher friends with my new blog series: My Favorite Resources for Teaching (Fill in the Blank). This series will include my personal favorite activities, songs, and videos that I use in my music classroom with my students. These activities can be adapted to your school’s level of technology available. When I started teaching, I had one teacher desktop computer. Now, I’m swimming in technology being in such a blessed technology-rich district. I hope everyone looking for ideas will be able to take away at least one idea from each of these posts. Alright, enough explanation! Let’s get to it! 1D: Identify same/different in faster/slower in music performances. 3E: Perform music using faster/slower. 6C: Compare same/different in faster/slower in musical performances. Here is my scope of what skills are taught throughout the grade levels regarding tempo. I know the font is teeny, tiny. The Old Gray Cat is my absolute favorite song for focusing on fast/slow with young students. Because it comes after loud/quiet in the lessons sequence, this song is also really great for reinforcing beginning dynamics. Here is the notation of the song courtesy of Beth’s Music Note. I begin by singing it alone a capella as if I’m telling a story. We discuss why we’re singing slowly and quietly during the majority of the song and then louder and faster at the end. After the children are familiar with the song, we sing it with different children acting out the parts of the cat and the mice. It is a hoot. This lesson is found in the MusicPlay curriculum for 1st Grade and in the Pre-K Spotlight on music textbook from McMillan. For kindergarten, I like using the Book We’re Going a Bear Hunt by Michael Rosin and Helen Oxenbury. Here is a video of Michael Rosin reading the story aloud. Here is a song lyrics video of the song as well to be used in your classroom. Finally, I use Vocal Explorations on the Move which I created to, not only appeal to the boys but to practice fast/slow which also reinforcing high and low (with airplanes versus submarines). Little bodies love to move! Also, Texas included movement in the update of the standards. (C) Move alone or with others to a varied repertoire of music using gross and fine locomotor and non-locomotor movement. Here my recommendations for movement that to reinforce fast/slow (faster/slow). Also by the Learning Station is Tony Chestnut. Here is a video of it but I frequently use just the recording because the video is kind of distracting in my opinion. Plus I can teach it the way I want to (though it requires a lot of exercise on my part). For listening, I think the Carnival of the Animals by Saint-Saens is my absolute favorite to use. I mostly use it with first grade close to the end of the year to teach instruments/instrument families but, while doing so, I reinforce both tempo and dynamics. This video for Kangaroos is fun. That piece in particular reinforces fast and slow. Plus, you can have the students respond to the piece with movement to add that extra dimension. I like Mr. Greg’s Videos. He has several about beginning musical concepts. By the way, all the videos are filtered through safeshare.tv or viewpure. Both sites should allow you to go to the original Youtube video if desired. Click on the image to go to the video. MusicK8 has a great video that I use with first graders learning the vocabulary Presto and Largo. It’s really fun because they use the Tortoise and Hare idea. The kids think it’s a hoot. Another literature is using the book There Was an Old Lady Who Wasn’t Afraid of Anything. This song is so singable and we discuss why the song gets faster (she’s afraid). Finally, I use these tempo posters in my classroom. I’m sure you can find products on TpT as well but these have served me well. You can purchase them here. Well, I hope these resources will help you when teaching fast and slow in your music classrooms. I’ve been busy with school, you know, but I’ve decided to make a conscious effort to work on disallowing my job being the all-encompassing end-all in my life. That’s not to say that I don’t LOVE my job. I do but I want more. I need more or else I’m going to fizzle out. I want to make pretty things. This was one of those magic moments where the picture in my head looks like the end product. For those who don’t know, this is a line from a Regina Spektor song. It’s my go-to single lady (and that’s okay) line. I started with the quote and then worked with the idea of having the fantasy coming out of the book like the story being bigger than the pages. Thanks for reading and looking. I’ll try to be better. Project Based Learning (PBL) is a big deal in my district. All teachers are expected to do at least one project each year. This was my first year doing a project and I chose the Science of Sound. Thankfully, I didn’t have to create the entire unit on my own. I used Aileen Miracle’s Science of Sound Unit and added to it to make it cohesive with the PBL mindset. It really is great and so full of awesome resources. I definitely encourage anyone looking to make cross-curriculum connections in the music room. I won’t go into detail about the unit since it is Aileen’s product and I don’t want to steal her thunder but I encourage you to check it out. One of the main ideas of Project Based Learning is for students to have the opportunity to show what they have learned. Since the final project of the series was to create a functioning instrument out of recycled materials, that was the basis of our PBL night. Students had to name their instrument and tell what family it belongs in. Here are the rules and rubric used for the project. Of course, I wanted other activities that went with the Science of Sound idea. My absolute favorite was the Instrument Petting Zoo. I won’t claim it as an original idea but it was a blast. I borrowed extra instruments from the band director as well as instruments from my own classroom and set them out with QR codes with information about each instrument. Students (and parents) enjoyed being able to touch and experiment with the instruments. Don’t worry, I took the mouth pieces and/or reeds off. I also had a very trustworthy teacher pal whose job it was to make sure everyone was being somewhat careful. It was a hit! There were two boomwhacker stations. The first one had sheets of boomwhacker music (maybe I’ll get tech-y next time) for participants to play familiar tunes on the boomwhackers. The second station requested students to hold a boomwhacker to their ear. Did you know you can hear the sounds of the room with the tone of the boomwhacker? Crazy, huh? At this station, students could experiment with recycled materials as speakers for a cell phone. The kids got a kick out of it. The final two stations (only one shown) are activities taken directly from Aileen’s Science of Sound Unit so students could show their families what we did in class to build up to their final project of creating an instrument. Finally, here is the map I created to show where each station was in the library. This is Part 4 in the Curriculum Mapping series. Check out Part 1: Curriculum Evolution, Part 2: The Nitty-Gritty Details, and Part 3: The Big Picture. In Part 3, I discussed using your district’s yearly calendar to begin to map out your year and the method to planning where to sequence units within the school year. Now, we’re going to look at actually creating the Year-at-a-Glance document. Here is a template for you to use. Now, that you have your sketch of the year and units, it’s time to put that information into play creating the actual lessons for the year. Go back to the Curriculum Outline you came up with in Part 2 and order the objectives within each concept of your units. Of course, there will never be enough TIME so you’ll probably have to combine objectives. I know I have. Also, some objectives take longer than others so judge best for now and reevaluate as necessary. After you’ve sequenced your objectives, match the appropriate standard strand so that your lesson will be administrator approved. 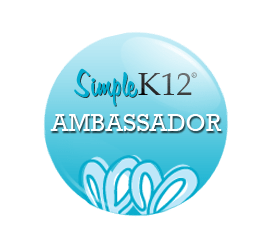 It also allows you to customize your lesson to the objective and standard rather than attempt to customize the standard to fit the lesson you want to use. So, now we’re going to build the lesson. DISCLAIMER REPEAT: I’m not the end-all be-all music teacher and am no expert in anything. I’m just sharing what I do in hopes that it helps someone else. Okay, so the left column on this next slide is how I organize my lessons so that everything is included. I don’t always use every single box for every single lesson and, note, I over-plan lessons like mad (because I’d rather be OVER-prepared than underprepared). Now, have you ever been in this situation? You find something really cool. It might be a pin on Pinterest or a Facebook post and you totally want to include in your lesson plans BUT it doesn’t really fit with what you’re teaching right now. So, you put it aside for when you can use it next month or year or whatever. If you’re anything like me, you’re totes not going to remember what that cool idea or resource was if you even remember something existed you were wanting to remember at all. Well, with this spreadsheet, you can immediately plug in the idea or resource as you find it and put where it can logically go. This lesson is from Kindergarten’s unit on Sound Explorations and this specific lesson is for Found Sounds. We start with the Trashin’ the Camp song video from Tarzan. I ask the children to look for items that are used as instruments but aren’t and, after we watch it, we go around and share what we saw. It serves as an intro to finding musical sounds in nontraditional musical objects. You’ll see it’s underlined in the screenshot above so that I can go directly to the link without having to search for it or have any youtube ads on the side. Here’s what it looks like when a video is on safeshare.tv instead of youtube. Since you can save the link and save yourself some trouble later (with the searching and ads) your lesson plans are the perfect place to keep that link. The “Focus Activity” for this lesson actually comes later in the lesson instead of close to the beginning because, first, we read Listening Walk by Paul Showers and then go on our own listening walk. You can see the “I Can” statement (that’s what the children see on the board), the objective and the standard (for the administrators to see). I include both the “I Can” statement and the objective for both audiences. You can see the rest of the lesson elements. The two PBS activities are really great for the children to get to play with different found sounds. I use the Stomp Kitchen scene as an additional listening selection. We finish with a simple assessment about timbre (they don’t know that vocabulary work yet) but they can sort sounds based on timbres even if they don’t know the exact word. How many students do you see at a time? That will depend on long thing’s take. How long do you see each grade level? 30 minutes is a big difference from 45 minutes or 50 minutes. Trust me, I’ve done all those. I’ve even done 22 1/2 minutes. How often do you see your students? 22 1/2 minutes stinks but, if it is everyday, then it gives lots of great review and the ability to go over activities and concepts very frequently. I’m spoiled rotten now but, in my first school, I had a CD player as my only technological item. I’m not saying you HAVE to have the tech to be a successful teacher. Of course not but you do need to take it into consideration. This is important to consider for games, centers, and movement. Finally, a note on keeping track. I use a secondary page like the one seen above to show what each class has done because I’m totally not going to remember. This serves not only to keep track but also as documentation to show what worked and what didn’t in each lesson. Because I use cloud storage (specially Google Apps), I can edit this from my phone, iPad, laptop, anywhere with an internet connection to keep track of the lessons. And that’s it. I sure hope this helped you in your planning. Like I’ve said before, it is not the work of a day or even a year but the work of many years and many minds to try to find the best solution for organizing the school year. If you have any questions or want anything else explained further (because I sometimes accidentally assume people can read my mind). You can also contact me miscellaneouscara at gmail dot com or at my Teachers Pay Teachers Store. Finally, here is the handout for the presentation. This is Part 3 of the Curriculum Mapping series. Check out Part 1: Curriculum Evolution and Part 2: The Nitty-Gritty Details. In Part 2, we looked at the details such as disassembling the standards, creating objectives, and sorting those standards/objectives by concepts to create units. Now, we are going to take that knowledge and place it in the big picture. Sketching the year gives you the ability to gain as much foresight as possible for the upcoming school year. It is a lot easier to plan when you know where you’re going. First, I look at the district calendar. Above is this year’s. Then, I date each column (in an spreadsheet) with the weeks of the school year noting events such as holidays, staff development, early releases. From there, I plot where the performances can go because you don’t want to schedule a performance the day of a state assessment or immediately after a holiday. You also want to make sure that your performances have plenty of time for preparation. These are the first units that I plot of the “map” and align as many of the standards as can be mastered within the performance unit. Hint: it’s usually the expression objectives that get covered. Also, make sure you plan your performances so you don’t get yourself into trouble during the year. Since you’ve already made objectives from the standards, you can map out how long concepts and units will need to be for mastery realizing that there is never enough time to get there for every single concept and unit. –BOY is code for Beginning of the Year which is used for rules and procedures (very important) and reviewing concepts from the previous year). You’ll notice that 5th grade’s BOY unit is much smaller than 3rd, 4th, and 6th. That is because of the PBL unit that is next. 5th grade will review deeper after the PBL unit. –Speaking of, PBL stands for Project Based Learning. Every teacher in the district is supposed to do at least one project a year. My fifth graders did the Science of Sound which I’ll cover in another blog post. After plotting BOY units and performances, the idea is to sequence the remaining units to maximize your time and build upon skills through the year. In 1st grade and up, I start with notation (rhythmic then melodic then both) because I think it is of great importance but there are other music teachers and scholars who disagree. That’s okay with me. You do what you want to do and what is best for your students and situation. Kindergarten doesn’t even start reading notation until way into the second semester (although they hear the songs and sounds, we don’t put words and concepts to them). Pre-k doesn’t read notation at all because we focus on experiencing and experimenting with music. I have a lot of leeway with pre-k because the standards for pre-k are unnecessarily vague. Aligning units, as much as you can, will help with planning and preparing…..especially if you are one who changes out bulletin boards (Psst! A secret: I don’t). It does help with the “musical mindset” if you align your units somewhat. Finally, feel free to make adjustments as needed. Nothing is set in stone……nothing……Any part of this process can be amended if you get into it and decide you want to change something….anything…..
Are you information overload yet? Are you Ready for Part 4? See you then!